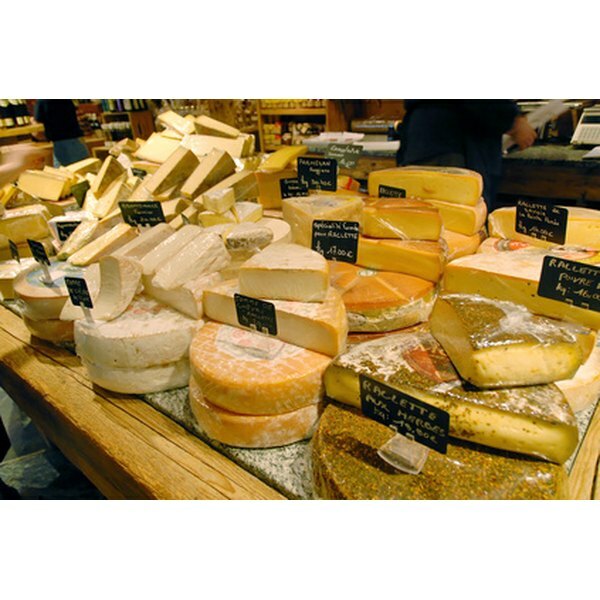 Various microorganisms make a variety of cheeses. 1 What Good Bacteria Is in Cheese? The kind of microorganism -- bacteria or fungus -- required to make cheese varies with the type of cheese. Some cheeses use a combination of microorganisms, while others require only one. The primary function of bacteria in cheese-making is to acidify the milk by eating the milk sugar (lactose). The bacteria are added as cheese starter, of which there are two types. Mesophilic starters can be directly added to the milk and usually contain several subspecies of Lactococcus lactis or Leuconostoc mesenteroides. Thermophilic starters must be cultured before they can be added to the milk and contain Streptococcus thermophilus or Lactobacillus delbrueckii . Fungus (or mold) spores are used to make cheeses with bloomy rinds or with veins. Penicillium camemberti is the primary fungus used for rinds, in cheeses such as camembert and brie. 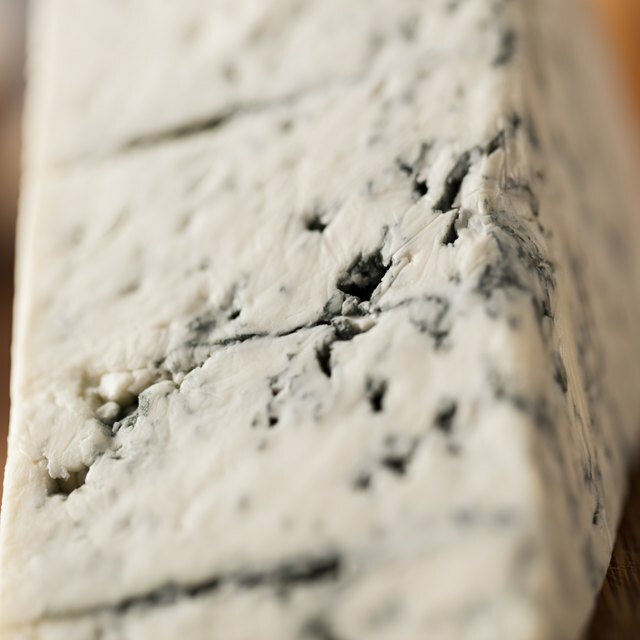 Penicillium roqueforti is used for blue or veined cheeses such as roquefort, stilton, gammelost, and gorgonzola. Certain types of bacteria are required for the production of specific cheeses, in addition to the starter bacteria and fungi. For example, Swiss cheeses require propionic acid bacteria to achieve their characteristic round holes. Why Is Milk a Good Medium for Bacterial Growth? Does Tiramisu Have to Stay Refrigerated? Can You Eat Cheese Mold?